Hi, I'm sorry I'm not really introducing myself, I have a quick question. I already posted it on another forum, but it seems to be pretty dead (and it's kind of urgent). I'm looking for the fuel pump relay fuse. I found a diagram on another forum, but it doesn't seem to correspond with my fuse box. I have a 2017 Move up! with a 1.0 liter 3 cylinder (60HP) engine and automatic transmission. 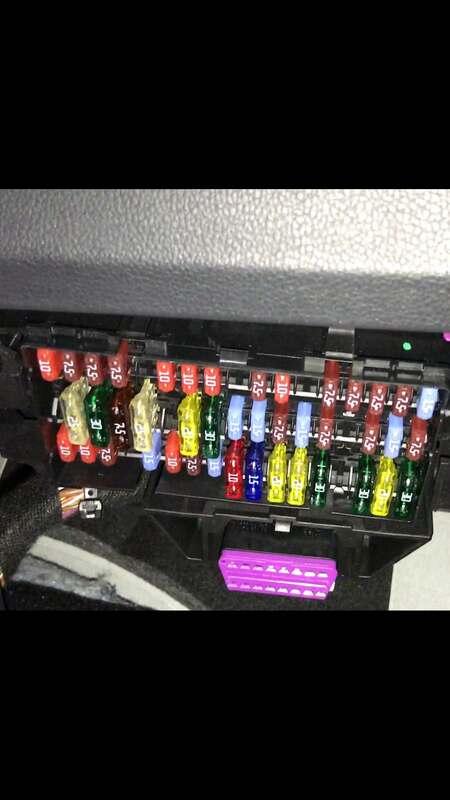 It should be the bigger 15A fuse in the lower row..
Bertjuh schreef: It should be the bigger 15A fuse in the lower row.. Thank you so much Bertjuh for your quick reply! I should've mentioned that I already tried this one (as it matches with the diagram) but I tried removing it, and when I turn the key, right before starting the engine, I can hear the fuel pump buzzing, so I assume this wasn't really the fuse we were looking for? I'm not very tech savvy but I assume the pump shouldn't buzz anymore when I turn the key if the fuse is disconnected, right? Or am I missing something?